So it’s time to get out your Halloween decorations. The life-size zombie that sings. The inflatable pumpkin carriage with cats riding on top. The dozens of plastic jack-o-lanterns. The fake spider webs and fake headstones for the yard. So where do you go? If you’re like me, it’s to your self-storage unit. Halloween and Christmas are two of the key times for most Americans to head to their off-site storage. I remember back in the 1960s when my parents had to dig all those items out of the attack in the garage. They would come out covered in dust and filth, and most got broken coming down the ladder. It’s so much better today to have that nice roll-up door and everything there in perfect order. Self-storage really has become a part of our everyday lives, and is no longer a luxury but a necessity for most American families. So Where’s He Going To Store That Stuff And How Can You Make Sure It’s Your Facility? So here goes a potential customer down the road. They need to store that stuff on the trailer. Time is of the essence. How do you get them to go to your self-storage facility? Well, there’s several things you should do. In the modern era, every self-storage facility should strive to be on an initial Google search of “self-storage in _______”. It should then have a great website for those who click on it. Equally important is that it be smart-phone compatible, as this guy will be Googling up where to go while he’s driving. A sign is a terrific investment that pays huge dividends. Any decent street in the U.S. does around 10,000 cars per day, and most highways hit around 60,000+. That’s a ton of potential customers and, equally importantly, you are catching them at a “point-of-purchase” moment, like the guy in the photo. An attention-getting sign will definitely bring you customers. On top of that, a professional-grade sign will definitely enhance the value of the facility in the eyes of your banker, appraisers and future buyer. This is one area where you really don’t want to be a cheapskate. That being said, I would not go beyond a pole sign of a large size with internal illumination. LED signs are great but I’m not sure you can make financial sense of them, and leave the waterfalls for Hawaii. While it is definitely more expensive than the internet or sign options (after you’ve already paid for the sign), direct mail does reach folks who are in the right locale to be your prime customers. Of course, all direct mail has a low yield (figure 1% to 2%), so it’s not something I would do every day. But maybe the guy in the photo already has a postcard in his truck and knows where he’s heading. Having a strong referral program makes complete sense. The concept is that any customer that rents a unit and says that “______ sent me” results in that existing tenant getting a couple of months free. There are many reasons why this is a great idea. First of all, it’s really cheap to institute such a marketing plan. Secondly, what better potential tenant than somebody who’s a friend of somebody who already uses your facility? They know exactly where it is and exactly what it costs. And you know that your existing tenant has laid the sales pitch on thick to get the commission! Maybe the guy in the truck already knows where to go because his neighbor told him. In today’s world of instant social commentary, no business can succeed if it does not provide a good value to the consumer. Basically, if you make people happy, they will reward you with telling all their friends and neighbors and that will, in turn, drive up your sales. While this is the weakest tool in terms of getting the guy in that pickup to go to your facility, it definitely would hurt your sale if he hears from somebody else “that place is a rip off”. So there goes that guy down the road. He’s got stuff to store and money in his pocket. Will he come to your facility? If you do the steps above, you have a really good shot. Otherwise, he’s just driving by. 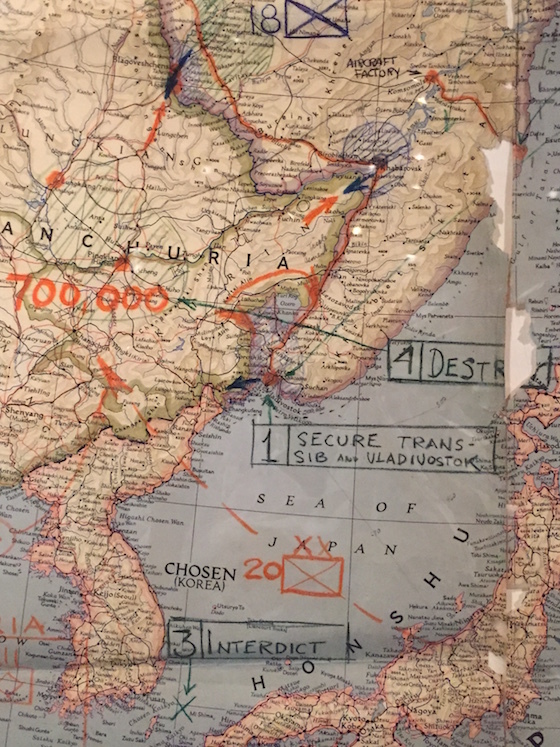 This is a photo of one of the actual maps used in the World War II war room of F.D.R., with all of the analysis written in the margins. No great success in world history was ever achieved without a plan. You can’t just make it up as you go. Before you can hope to accomplish something of value, you have to build a roadmap of how to get from Point A to Point B. Just as F.D.R. wrote on this map, you need to set the goals of what you’re trying to accomplish. Whether that goal is to buy a self-storage facility or increase the occupancy in one you already own, you have to establish clear-cut boundaries of what it is you want to achieve. And these goals need to be written down and detailed with extreme precision. You can’t have a goal “increase occupancy” – it needs to be “increase occupancy to 85% by December 31, 2015”. If you don’t set tangible goals, you’ll end of never really getting anywhere, because even a tiny movement will be passed off as a major victory. Just as F.D.R. did with this map, you must track your progress towards your goal. That tells you if you are on plan or not. Look at a GPS, for example. It tells you the anticipated arrival time, plus how much longer you have to go, and even maps where you are. Everything you hope to achieve should be monitored just like that GPS. 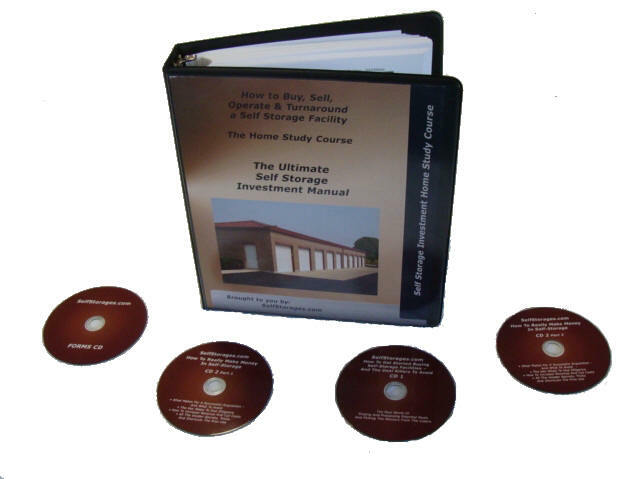 In this manner, you’ll know if you are working hard or fast enough to hit your goal. Life is not without surprises. You need to be flexible enough to handle them. Someone said that there’s no road block that can’t be stepped around, stepped over, or stepped on. F.D.R. never really knew what the enemy was planning any hour of any day, but he was able to work around their counter-attack and proceed forward again. One of the key reasons that the U.S. beat the Japanese Navy was that the Japanese commanders were not good at staying flexible. If they went into a battle in which they were supposed to have more ships than the U.S., and instead the U.S. had more, they would panic. They liked things to be very methodical without any surprises. That’s the same way that the U.S. won the American Revolution. The British would march in straight lines, while the Americans would hide behind trees and pick them off with Kentucky long rifles. Flexibility is built into the American doctrine of success, and you need to remember that. Every minute of every day, you need to have a Plan “B”. At the launch of D-Day, Eisenhower already had plans for a second attack, and a letter of apology already written in case D-Day failed. F.D.R. had plenty of secondary plans no matter what happened on his map. Even Paul McCartney had a Plan “B” if the Beatles failed – he was going to open a sandwich shop. If you want to succeed, you need a plan. And you need to monitor your progress on that plan. Along the way, if things don’t go as you expected, you need to be able to remain flexible and deal with it. And always keep a Plan “B” in your pocket. That’s how America won World War II, and it can work for you, too.